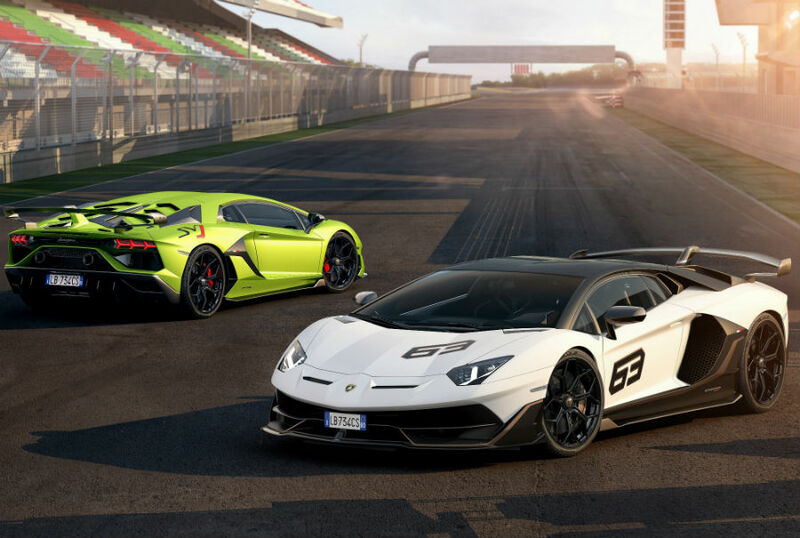 More and more information is becoming available regarding the brand-new 2019 Lamborghini Aventador SVJ. 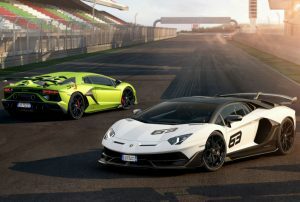 For instance, we now know a release date, as Lamborghini has confirmed that the first customers will be taking delivering of the SVJ in the beginning of 2019 across the globe. We also have more specific details regarding its performance specs, which we thought we’d cover today! Beneath the hood of the SVJ is, of course, a naturally-aspirated V12 engine. This version of the engine has received a nice increase in power, pumping horsepower up to an astonishing 770 HP in addition to 531 pound-feet of torque. As the SVJ only weighs 3,362, that means it delivers a weight-to-power ratio of 4.4 lb/hp. Let’s translate all of those numbers into something a bit more exciting. From a full stop, the SVJ can accelerate to 62 miles per hour in just 2.8 seconds and to 124 mpg in 8.6 s. It can hit a top speed that surpasses 218 mph. And finally, from a speed of 62 miles per hour, it can come to a complete stop in just 98.5 feet. If you’re interested in the SVJ, be sure to get in touch with us right away, as Lamborghini will only be building 900 units. This entry was posted on Monday, September 10th, 2018 at 1:53 pm	and is filed under Lamborghini. You can follow any responses to this entry through the RSS 2.0 feed. You can skip to the end and leave a response. Pinging is currently not allowed.